You’ve invested time, effort, and dollars into your event, and you’re confident attendees will have a blast. The only problem: your marketing budget is light. And if you don’t spend money promoting the event, how will you get the word out? Fortunately, there are plenty of ways to market your event for little to no cost. Using the power of online marketing and social media, you can reach people who are already looking for your event and brand-new fans. To help you find the smartest places to invest your time, we’ve compiled a list of the 10 best ways to promote an event online. You’re probably familiar with keywords — those wily terms that search engines use to rank your site in their results. So how can you use keywords to your advantage? Let’s say you’re hosting an event for classic car enthusiasts in San Francisco, where participants can show off and admire vintage rides. You know that you want to rank for terms your target audience is searching for — so do you optimize for “classic car show Bay Area” or “vintage automobiles San Francisco”? Or both? Luckily, it’s not difficult (or expensive) to discover which key phrases are most valuable. Google’s Keyword Planner is a great (free) resource for understanding keyword performance, testing out multiple keywords, or comparing keywords to each other. MozBar by Moz is another good resource — it will tell you the page and domain authority of top-ranking search results, so you can estimate your chances of showing up high on the page. Check out our guide to SEO (Search Engine Optimization), where you can learn how to research keywords — and what to do with your findings. Do you get multiple emails from companies and brands every day? There’s a reason for that. Email marketing is one of the most powerful marketing methods out there, and it’s relatively inexpensive. 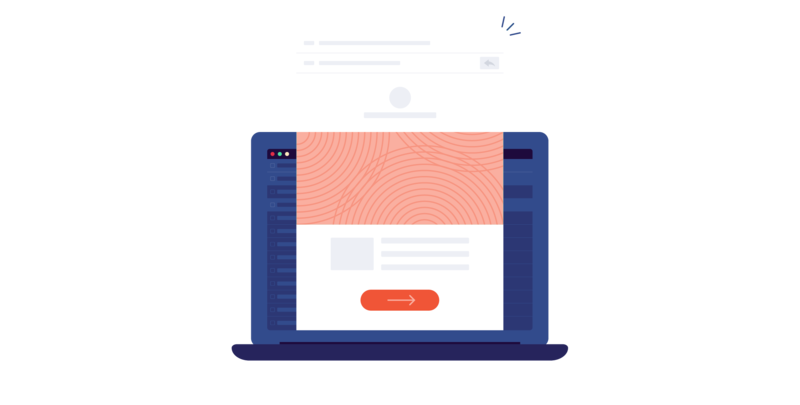 Eventbrite’s 2019 Email Benchmarking report found that event emails generated open rates between 21-30%, and click-through rates between 2.1-3% — well above marketing email standards. If you’re using Eventbrite, you can email up to 2,000 users a day right from our platform (read a tutorial here). We also offer a MailChimp integration, allowing you even greater flexibility when sending email invitations and follow-up messages. If you aren’t using Eventbrite, email marketing services like MailChimp can still help you connect with your contact lists. Imagine that someone’s looking for something fun to do next weekend. They Google “events near me,” and land on your event page. You know how important it is to seize that moment of interest, and inspire them to hit “buy now” before a distraction comes along. The second they close their browser, you may have lost your chance. Consumers want photos that will show them what to expect from your event. They’re looking for context around things like venue, vibe, and dress code. If you don’t include this information on your page, you’re forcing readers to find it elsewhere — and you may be losing sales. Keep people on your page by embedding photos and videos that answer all of these questions. Take well-lit, professional photos of your space that capture the ambiance. If you’re hosting a musical act, make sure to include video clips or sound bites of performances. Include a dress code, and any other details that give people a better idea of what to expect. Social proofing means influencing your buyers by letting them know what “everyone else is doing.” Advertisers use this technique all the time: “Choose the product 1 million others have already tried!” E-commerce websites publish customer reviews as another type of social proof. One of the best free marketing strategies is to inspire your attendees to spread the word for you. Give them badges or icons they can post on their websites or blogs: “I’m going!” Build HTML code into these graphics so they link right back to your event website. Allow them to easily share their status as registrants on all of their social media channels. And make sure they know your official event hashtag. Your social media strategy should depend on the size and scope of your event. If you’re hosting a one-time gathering of local food trucks without an entry fee, you can probably get away with a simple Facebook business page and Twitter account. But if you’re looking to expand your reach without blowing out your budget, it’s time to go all-in with a comprehensive social strategy. • Dream up an official hashtag and use it everywhere — not just in your social media postings, but on your website and any printed materials. • Promote your event across all of your social channels — and don’t forget about often-overlooked real estate like your organization’s Facebook, Twitter, and LinkedIn profile pictures and background images. • Create a content calendar that will keep postings up-to-date and frequent. Include the cadence of your organic posts, paid ads, and any social influencers you’d like to involve. • Draft a formal agreement with your event’s talent, hosts, and sponsors to cross-promote your event to their networks. • Link from your Facebook page directly to your ticketing provider. Facebook and Eventbrite have a “purchase anywhere” integration that makes it easy to reel in attendees, whether they’re surfing Facebook on desktop or mobile. Above and beyond simple social media posts, creating custom content for your event creates enormous payoff. Yes, it’s more time-consuming, and you might consider hiring a freelance writer or graphic designer to help you, but there’s tremendous ROI potential. Viral infographics, blog posts, and how-to guides can rack up thousands of likes, shares, and visits. This type of content isn’t just good marketing; it gives you “thought leadership” points, helping you to be seen as an expert in your niche. And it helps with search engine rankings. Keep in mind that you don’t have to retarget site visitors immediately after they leave your page. In fact, you might want to wait until a slow period, or when you’ve nearly sold out of discounted tickets. Tip: Retargeting ads are most effective when they create a sense of urgency. Use language like “only X days left” or “only X tickets remaining” to help motivate attendees. Create a hashtag-driven contest for your social networks — Twitter and Instagram are the easiest channels for this strategy. Ask your networks to tweet the answer to a question, or Instagram a photo using a custom hashtag. Have fun with it! A music festival might ask their network to tweet about the first concert they attended, while a beer event might ask people to post photos of their favorite drinking partner. Giving away a free or discounted ticket is one of the most cost-effective incentives you can offer — especially if you drum up media attention in the process. If you’re going to invest in online promotion, you need to know what’s working and what’s not. Luckily, one of the best things about digital marketing is that you can measure your results. Where are your ticket sales are coming from? Is your audience more engaged with your tweets, your monthly newsletter, or those retargeting ads you’ve been experimenting with? With the right technology, this information is readily available. If your event platform allows it, start by setting up tracking links for your marketing channels. This will tell you which channels generate the highest sales, so you can make sure every dollar is being used wisely. These are just 10 of the ways you can better market an event online for very little (or no) extra money. And with the cash you save, you’ll be able to invest in crafting an even better event experience for all of those new fans. Ready to promote your next event? Get started now. Powered three million events in 2017. Eventbrite brings the world together through live experiences. More than 700,000 organizers used Eventbrite in 2017 to drive ticket sales, promote and manage events, handle on-site operations, and analyze results across multiple sales channels. Promote, manage, and analyze your event from any device. More than 200 million tickets were issued in 2017. Delight with ease of purchase, convenient ticket access, and speedier entry.